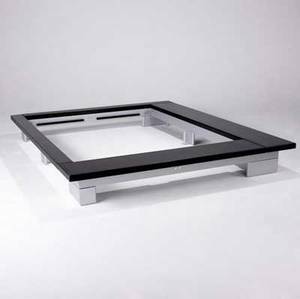 Peter maly / ligne roset "maly" platform bed with ebonized and enameled wood frame, and two slatted mattress supports (not shown). 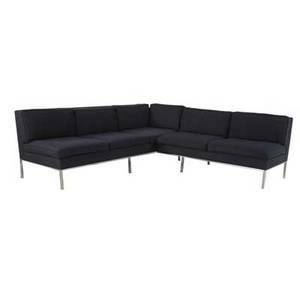 overall measure: 11 1/4" x 81 1/4" x 97", interior width: 63 1/4"
Soho concepttwo piece sectional sofa with adjustable arms, usa, 2000slinen and ebonized woodfabric labelsoverall: 34" x 15" x 40"
Modern two-piece sectional sofa with navy blue upholstery on steel base. 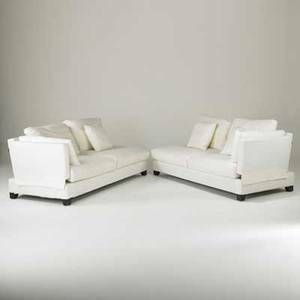 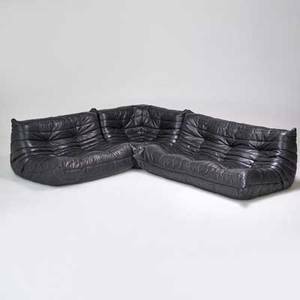 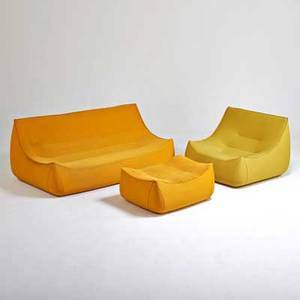 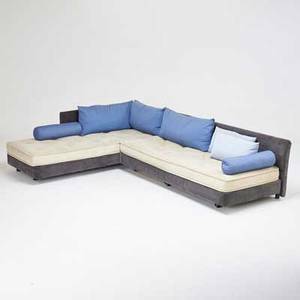 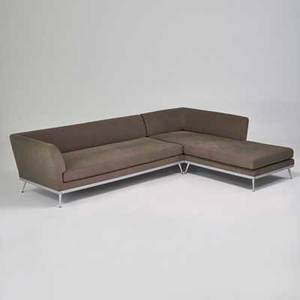 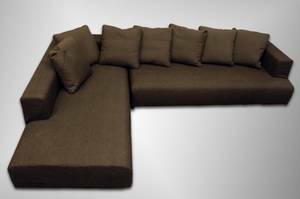 each section: 28 1/2" x 83" x 28"
Ligne roset; "sage" sofa, lounge chair, and ottoman, french, ca. 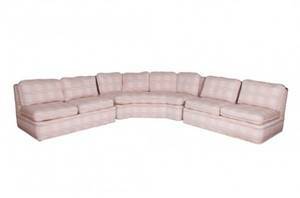 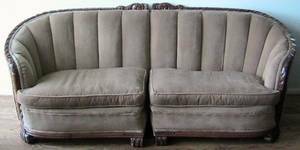 1990s; stretch upholstery; all with fabric labels; sofa: 29" x 72" x 36"